I just wanna tell you guys that Damn I love beach so much! I can tell you anything about Maldives before I share my own story about living experience in one of luxury Maldives resort. I will tell you how I can make my pocket empty within a minutes and I will also tell you about how my life was very wonderful by staying here, fair enough right? My first trip to Maldives was in 2014 and this is a dream that we waiting for 1,5 years, yeah honestly I can tell you more that this is my wife’s dream, but that’s the point of being a husband right? Just kidding, but truly this journey was so amazing. This is the first time we visiting a country which is has a green-blue color of the sea water where I can walk through the sea about 200-300 meters far, a country where I can see the beautiful nemo fish for the first time and watching the baby shark feeding in live. My story is begin when we choose one of luxury resort named Lux* Maldives, very beautiful resort that still suitable on my pocket without decrease its glamorous and facilities. 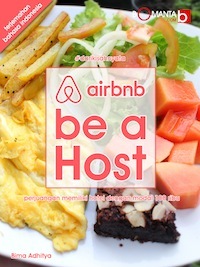 I already tell you that this is my first time experience so stay in a beach villa is enough for me and my wife. On the day we arrive in Ibrahim Nasir International Airport, we want 1 night stay at Male City, just to let us know what the capital city looks like. We stay in cheap and small hostel named Lucky Hiya about 15 minutes walk from the boat harbor, I know you guys need to know how is this hostel looks like, be patient, I will write more in detail in another article later. 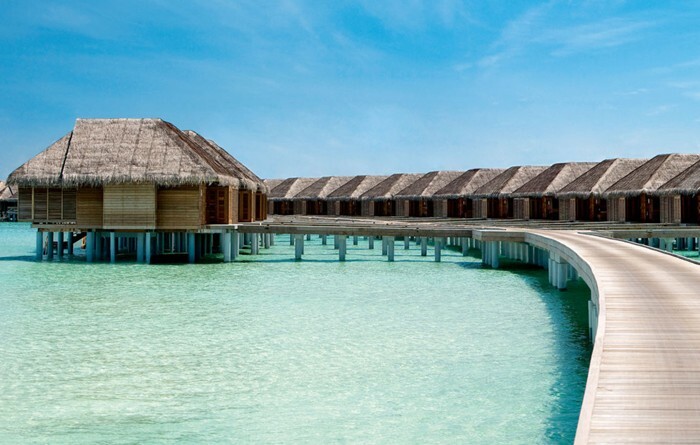 Just like what I said in my first Maldives honeymoon and holiday article, you guys need to confirm or check in to a resort that you’ve book, for us…this is Lux* Maldives. Their representative coming late since he have to prepare for another guest local flight departure, yup…1 counter only serve by 1 representative so if he not in his counter just patient for little bit. If you choose stay in Male City you have to tell him too where is your hotel and the phone number since on the day you will check in to Lux* they will make a phone call to your transit hostel for reminder. Finally the day where we visit Lux* is coming, it was a sunny day with magnificent weather, I can’t wait more to see this paradise soon. Going to Lux* has 2 option, with 40 minutes of Seaplane (must be more expensive) or using a combo local flight and speed boat (this is the cheapest one). Since we want to make it cheap, we already confirm to Lux* that we want to make it with combo local flight and speed boat. One of the minus thing about Lux* is you have to pay all the local flight and speed boat before you leave your country and they only receive credit card, what a bad thing for me who don’t have high credit card limit cause today we spend about USD900 both of us for return. Our local flight airport is just next to Ibrahim Nasir Airport and by waiting for 30 minutes we just ready to fly. Flight is small, just like a fokker flight with double propeller. We flew for about 30 minutes than landed in Maamigilli local airport than all passenger will spread out in 3 large car depend on the resort they book. Our speedboat consist of guests from 2 resorts, it is Lux* Maldives and Centara and hell yeah!! we are the first guests to pick up. It was incredible experience using a speed boat where we can smell the sea water, see through the clear sky, and see the crystal clear of Indian ocean, so incredible!!! After we ride the boat for 20 15 minutes we saw a resorts with very beautiful scenery, a lot of coconut trees, and a wood gazebo with 6 smiling people who attract us by moving their hands. Ooohh I know that this is our personal Lux* Maldives assistant who will guide us to our room, yes every guest will have their own personal assistant who will tell you the story, situation, map, and everything about Lux* Maldives. Our first little step on Lux* Maldives sand beach were so memorable, you can see through pictures here how beautiful the resort is. Our personal assistant ask us to sit down anywhere we want and deliver us 2 glass of cold cucumber juice and cold towel, very nice services for this sunny day. Rosella was our assistant name, very nice lady with a nice smile, and even she took us directly to our room!! This afternoon we can’t do so many things since we were here for taking our client pre wedding photo shots. We can’s stop our eyes to see every single spot of this resort, we saw its infinity pool till a bridge where we can sit down and watching the baby shark feeding this afternoon at 5pm.